As fall turns to winter in the Finger Lakes, the summer’s fresh produce recedes into memory. A workshop coming to downtown Geneva tomorrow evening offers a way to keep fresh greens on your table by thinking small. Maggie O’Reilly is the owner of Maggie’s Greens, which is a Finger Lakes provider of microgreens. O’Reilly’s interest in farming began while she was a student at Hobart and William Smith Colleges. She became interested in issues of food justice and food equity. Microgreens are a good DIY food source that’s packed with nutrients. For O’Reilly, it’s a year-round business as well. 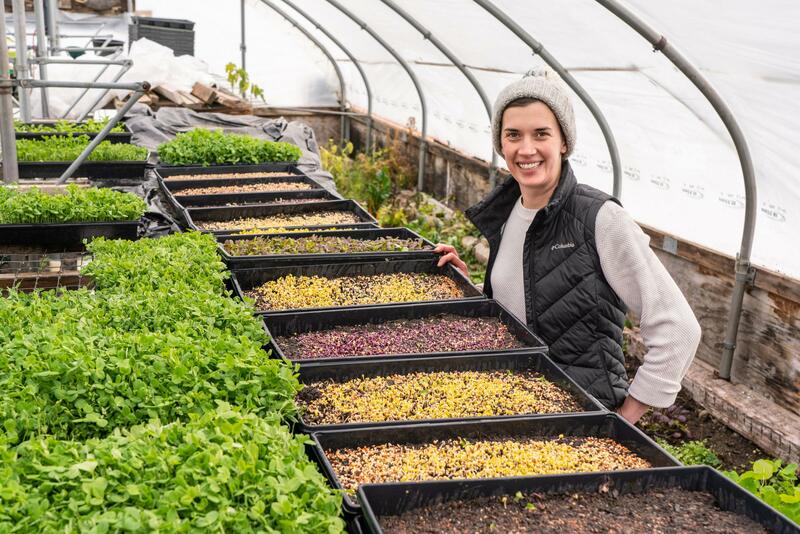 She provides microgreens to individuals through a CSA and to restaurants around the Finger Lakes.